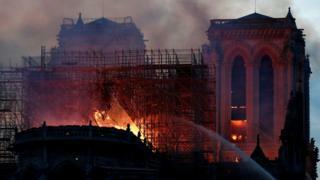 A huge fire has caused a lot of damage to the medieval cathedral of Notre-Dame in Paris. It's one of France's most famous landmarks. The gothic building caught fire on Monday night. 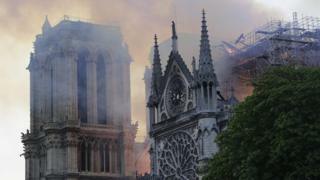 Its famous spire and roof have collapsed but the main structure, including the two bell towers, has been saved. 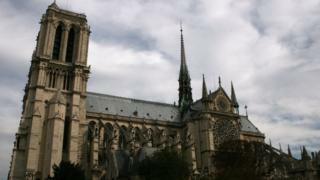 French President Emmanuel Macron has said the cathedral will be rebuilt. Throughout the night people gathered and sang hymns as the cathedral burned but why is Notre-Dame so important to the people of France, and to many people across the world? This is what Notre-Dame looked like before the fire. This historic building has been a massive part of Paris's history and culture. The Gothic building is more than 850 years old, construction began in 1163 and it took nearly 200 years to complete. Notre-Dame was built on a small island called the Île de la Cité, in the middle of the Seine, the river that runs through central Paris. Britain's King Henry VI was crowned King of France in the cathedral in 1431. 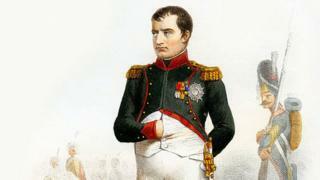 French Emperor Napoleon I, also known as Napoleon Bonaparte, was a French military leader who went on to become Emperor of France. His coronation was also at the Cathedral. He's one of the most important figures in France's national history. 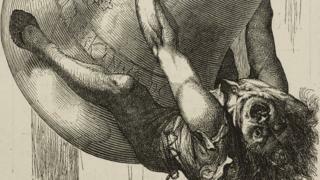 Quasimodo clinging onto a bell, from The Hunchback of Notre-Dame, by Victor Hugo. The church has inspired some incredible stories, such as Disney classic, The Hunchback of Notre-Dame. Disney's story was inspired by the romantic gothic novel "Notre-Dame de Paris," which was written by French novelist Victor Hugo in 1831. Over the years there has been many adaptations but Disney's 1996 version is one of the most well known. Notre-Dame has been standing for hundreds of years and even survived two World Wars but it isn't the first time that Notre-Dame has been damaged. The cathedral was damaged and looted during the French Revolution, when many people associated the Catholic church with France's rulers, who they were protesting against. The church's site is full of grand symbolic decorations, colourful stained-glass windows, artwork and gargoyles as well as other architectural details. The cathedral was even home to relics tied to Jesus. Emergency teams did manage to rescue valuable artwork and religious items. Luckily, many statues and artworks had already been removed before the fire as Notre-Dame was being renovated after cracks were found in the building. 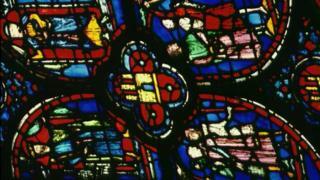 Millions of pounds have already been pledged to restore the medieval cathedral. Amazing pictures: What does Earth look like from space?